A true Jack of all trades. 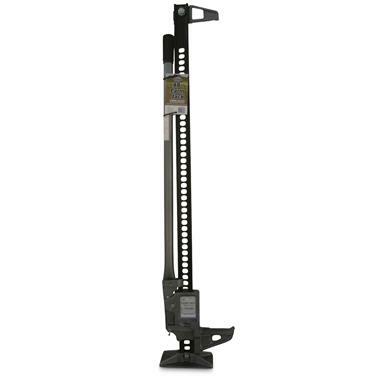 Thanks to its 7,000-lb capacity and 6.1" to 42.2" variable lift heights, the Field Tuff 48" Farm Jack is a do-all wonder. It's perfect for a variety of functions, from jacking up tractors and equipment to pulling wood and steel fence posts. Lift Height: 6.1" - 42.2"
Gravel Tuff Heavy-Duty "A" Frame Speed Jack, 2,000 lb. Maximum tongue weight capacity of 2,000 lbs. Universal mount fits tongues up to 3" x 5"
Fast, effortless and easy to use. Burns bright for up to 30 min. to flag down help! 4" x 2.75" x 16"l.
A bright signal for roadside emergencies and more.